The very first home I purchased was a new build. I remember having to make decision after decision from everything to the style of flooring to the colour of our siding. It was actually fun to take control and visualize what I wanted my home to be. I’ve moved several times since then and with each of my new homes, I try to make them my own in both big and small ways. My current house is a work in progress. We are slowly working at updating the outdated decor, plumbing, heating, etc. I would love to be able to update the siding on the addition. It’s old, worn and plain ugly! A new fresh look would add some major curb appeal to my bungalow and also increase its property value. One option I recently learned about and am currently checking out is LP SmartSide Trim & Siding. They offer a complete line of exterior trim and siding products that are engineered to give the look of traditional wood with much less maintenance. They are an excellent alternative to traditional vinyl siding. Plus, they have tons of extra benefits! I think it’s important to do your research before committing to a big purchase. 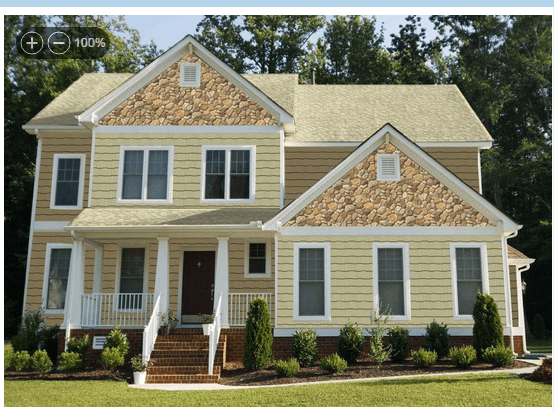 I took a look at LP SmartSide Trim & Siding to learn more them and their products. I was impressed with the information I found out! Here are five good reasons to choose LP SmartSide Trim & Siding. 1. Excellent Warranty. Their 5/50 year warranty is one of the best on the market. They offer 5-year, 100% labor and feature replacement and 50-year prorated limited warranty on the substrate. If you end up moving, you can transfer that warranty to the new homeowner. 2. Extremely Durable. All LP Smart products are treated with SmartGuard, a zinc borate based process. This enables it to keep moisture out for the long-term and protects against harsh weather, decay, fungi and termites. Watch this video to see LP® SmartSide®, fiber cement and vinyl put to the test! 3. Easy to work with. LP SmartSide Trim & Siding is lightweight and cuts easily with your standard woodworking tools. Each piece of LP SmartSide Trim is knot-free which allows you to get the job done faster! 4. Custom Beauty. It’s easy to create your own signature look with LP SmartSide Trim & Siding. You have the warmth and beauty of traditonal wood with all the added benefits of LP SmartSide treated engineered wood siding. Use their LP SmartSide Visualizer to create your dream home using LP SmartSide Trim & Siding products! 5. Environmentally friendly. LP SmartSide Trim & Siding uses wood, a renewable resource. They also product minimal waste during the manufacturing process and uses an SFI-certified forest management and fiber sourcing system to ensure the wood comes from well-maintained forests. If you are thinking of siding your home, consider the advantages of LP SmartSide Trim & Siding. It’s a smart alternative to traditional vinyl siding! I like that this has the look of traditional wood siding but in fact is treated engineered wood with a fantastic durability. If you end up moving, you can transfer the warranty to the new homeowner which is also a huge plus. I must admit I do like the look of this and would love to have my house done with this product. We are trying to find LP smartside trim in Ontario and we aren’t having any luck. I was just wondering where you got yours?